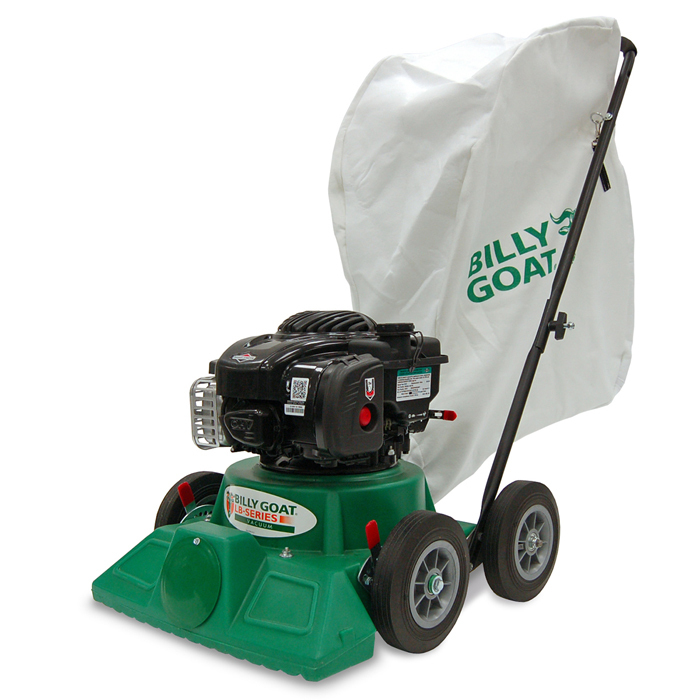 Billy Goat's entry level vacuum is particularly light and manoeuvrable and features superior suction. The unit is ideal for vacuuming leaves, grass, flower heads and seeds from pool areas, patios or small gardens. New B&S Engine - Featuring the new Briggs & Stratton 158cc series engine for longer life and durability. Wheel Adjustment - Wheel adjustment is at your fingertips to accommodate hard surface or turf work. Superior Suction - The Billy Goat Little Billy LB351 has superior suction via 51 cm/ 20” wide nozzle is a favourite for small gardens. Bag Attachment - The Little Billy's Bag attachment has a 105 ltr capacity and is harness mounted on top and quick attaches on bottom.